One key to choosing the college that’s right for you is exploring the new city you’ll be living in. Every college town has a different vibe, and let’s face it, Louisiana thrives on variety! 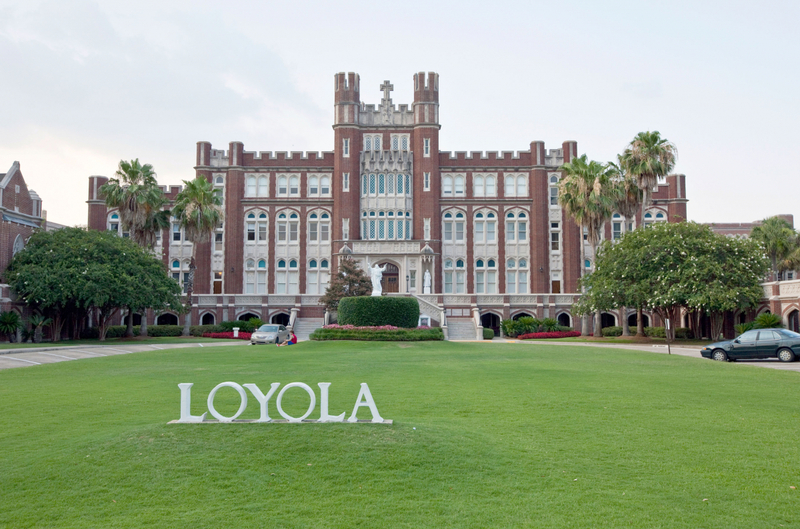 Here’s a look at the culture and attractions in some of Louisiana's most popular higher education destinations. Considering the Colonel life? Nicholls State University—home of the Colonels—is located in Thibodaux. It’s a town of about 14,500 people on the banks of Bayou Lafourche between Baton Rouge and Houma. Nicholls has a 210-acre campus with about 5,600 undergrads. Freshmen can live on campus, but it’s not mandatory. The cozy set-up makes it easy to find your way around, get to class on time and network like crazy. “Da bayou” is a big part of the Nicholls experience: Two cool traditions are Crawfish Day (can you say free mudbugs?) and the annual Pirogue Races. Besides choosing from more than 100 campus organizations to join, students like to attend sporting events and Greek parties or hang out at Jazzman’s coffeehouse, the student rec center, the Student Union or “the wood” in front of the Student Union. Chilling in hammocks under a shady tree between classes is definitely a thing. 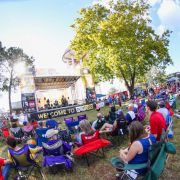 Off-campus, downtown Thibodaux is known for fun events like Big Boy’s Main Street Cookoff, Thibodeauxville Fall Festival, Boogie on the Bayou, Arts Walk and more. One of the popular restaurants, bars and businesses is the Purple Penguin Art Company, a fun place to make or buy glass, pottery or paintings. Another local attraction is the Jean Lafitte Wetlands Acadian Cultural Center. It’s all about the history of the Acadians (Cajuns) and includes a museum and store, national park, theater and a weekly Cajun Music Jam. Many students make the 20-minute drive to Houma for more shopping, bowling or movies. Thibodaux is also great if you’re interested in historical plantations, homes, churches and cemeteries. And the swamp tours rock! 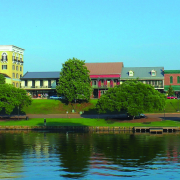 Right in the middle of Louisiana, Alexandria is a decent-sized (population 60,000) small town where there’s a lot going on. For starters, choose a festival! The Alex River Fete features the Louisiana Dragon Boat Races. Downtown Rocks is a free outdoor concert series at the Riverfront Amphitheater. And the Mardi Gras parade on Fat Tuesday attracts up to 50,000 people. You can get your culture on at a symphony, plays or concerts, or a museum. You can also check out the white tigers at the Alexandria Zoological Park, tour historical attractions or get away to one of several state park/recreation areas near Alexandria. For regular old fun, Alexandria has shopping, bowling and a 16-screen movie theater. College students in Alexandria can find plenty to do close to home. LSUA has about 3,400 students, and freshman live on campus. The Oaks Apartments, the ‘dorms’ on campus, welcome everyone to events ranging from pool parties to bingo, poker or movie nights. It seems like there is always a club hosting a get-together or activity. There’s flag football, ping pong, and the gym has a DDR (Dance Dance Revolution) machine. There’s even a midnight breakfast during exam week where everyone can eat and study together all night. Some college students are really serious about “getting out of their shell” and meeting new people—especially at the University of Louisiana at Monroe. A bayou flows right through the campus of ULM, and students love to hang out and feed the turtles that live there. They also rent kayaks and paddle through campus. Other must-dos at ULM are football tailgating in The Grove, chowing down on home-cooked “dollar lunches” on the Quad, and “Oozeball” (volleyball played in knee-deep mud) during Spring Fever Week. Running through the Quad fountain is a student rite of passage. Attending performances by the famous ULM waterski team is too. There is always something happening at the Rec Center and folks hanging out at the student union building. ULM, along with Louisiana Delta Community College and a few technical schools, give Monroe its college town feel. Not many towns with 50,000 people have opera and ballet, but Monroe does. It also has north Louisiana’s largest shopping mall and an aviation and military museum. Of course, Monroe is also home to Duck Commander, the duck call company made famous in the reality TV series, Duck Dynasty. You gotta visit the Duck Commander headquarters and gift shop at least once. If you hang out on the banks of a bayou every day, a duck call could come in handy. Northwestern State University in Natchitoches (population 18,300) makes it easy to meet people by requiring pretty much everyone to live on campus for their first six semesters. But get this: Students live in residential communities called villages that are like apartment complexes, with on-site dining, gathering places and plenty of planned activities like cookouts and pool parties. There are study lounges, special programming, fitness facilities and classes, and other cool perks. NSU students are also big into clubs and organizations (there are more than 115 on campus). There’s also sorority & fraternity life, student government and student activity board events like a haunted house at Halloween, movies on the football field and paint wars during Welcome Week. “The Rec” and the Student Union are always packed. NSU students love their intramural sports, as well as supporting their school teams by wearing purple on Thursdays and white on Tuesdays. The ginomormous, 400-member Spirit of Northwestern Marching Band gets to feel the love too! NSU also has a close relationship with Natchitoches, a pretty little town that began as a French colony. The main attraction is Front Street, a brick street lined with historic buildings full of shops and restaurants. Its annual Christmas Festival and Festival of Lights is practically world-famous and attracts tons of local college students. You can also visit The Louisiana Sports Hall of Fame and NW LA History Museum in historic downtown Natchitoches. The sports museum honors more than 300 Louisiana sports figures, including superstars like Shaquille O’Neal and Archie Manning. You probably don’t think “college town” when you think of New Orleans, but why not? NOLA college students enjoy a lot of perks. The most obvious: a gazillion things to do. 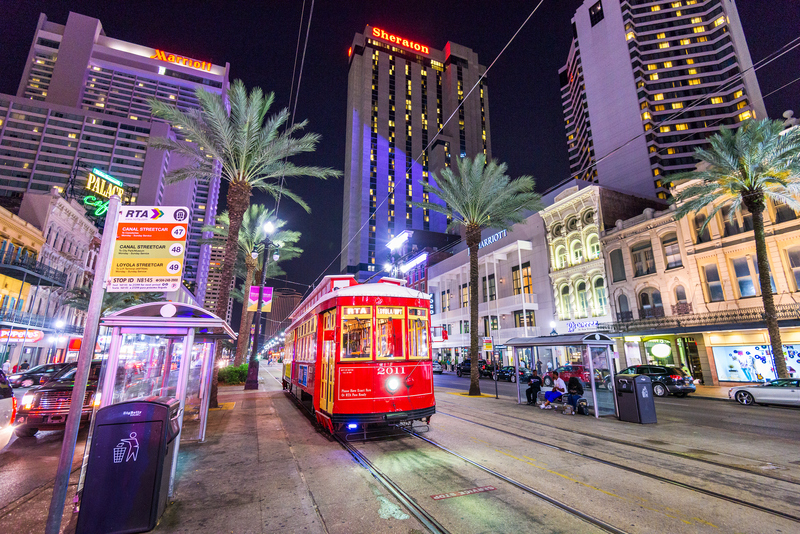 Starting with the French Quarter, Riverwalk, Audubon Zoo, Aquarium of the Americas, Mardi Gras, Jazzfest, art galleries, sports and concerts, riverboats and museums—the list goes on forever. Plus, parades roll year-round, with at least 80 during Mardi Gras alone. NOLA schools are known for gorgeous campuses with fascinating architecture and stately live oaks. Both Loyola and Tulane students like to spill over into nearby Audubon Park. Another cool thing is the diversity of cultures and people. You see this in campus events like UNO’s International Night, a celebration of approximately 25 countries represented by the student body. Thanks to NOLA’s business and industry sector, college students have excellent access to internships, work experience and research. And public transportation is good. Some schools, like Tulane, even have their own shuttle systems. As in many large cities, crime can be a concern in NOLA, but many schools take special measures to ensure student safety. Many colleges have installed “Blue Light” phones around campus where students can call for security if they feel threatened. Others, such as Dillard University, may also provide armed, licensed security officers patrolling the main entrance and all buildings. But perhaps the most common danger of college life in New Orleans is having too much fun. Seriously. With so many temptations to distract you, you really have to keep your eyes on the prize so your studies don’t suffer!